Katherine L. Harris is a commercial litigator who is committed to providing the highest quality legal product for all of her clients, all of the time. Katherine specializes in business-related disputes, including securities, fraud, and contract litigation, tax matters, and class actions. 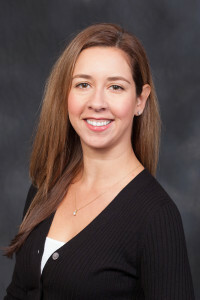 Prior to joining Marks & Klein, LLP, Katherine was a litigation associate at the law firm of Kramer, Levin, Naftalis & Frankel, LLP, in New York City. She is admitted to practice in the State of New Jersey and the State of New York. Katherine graduated from Columbia Law School and received her Bachelor of Science from the Georgetown University School of Foreign Service. During law school, Katherine served as an intern for the Honorable Gerard Lynch in the Southern District of New York and was an editor of the Columbia Human Rights Law Review.